1. 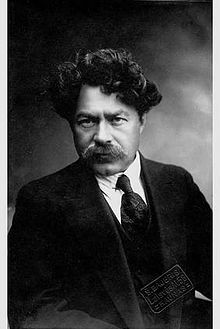 He was born in the Crimea in August 1875 and had a basic Jewish education. This was followed by a relatively secular education. He studied German, French, English, Greek and Latin. He attended secondary school in Odessa from 1890-92, when he had his first poem published. 2. Because he could not gain acceptance to a Russian university, in 1899 he went to Heidelburg, where he studied medicine. He finished his degree in Lausanne in 1906. 3. He practiced medicine and served in the First World War as a Russian army doctor. After the Bolshevik revolution, he continued to practice medicine and to write, but he earned only a scant livelihood. 4. He left Russia in the early 1920s and wandered here and there, settling in Berlin, where he did his translations. In less than a decade, he was to translate Homer’s Iliad and Odyssey, and also Sophocles, Horace, Shakespeare, Moliere, Pushkin, Goethe, Heine, Shelley, the Gilgamesh cycle, and the Icelandic eddas – all into Hebrew. To this day, Tel Aviv gives a prize in his name for exemplary translation. 5. Between 1925 and 1932, he was one of the editors of the newspaper HaTekufa. He spent part of 1929-30 in America. Then, in 1931, he was commissioned to edit a Book of Medical and Scientific Terms – in Latin, English and Hebrew. This commission enabled him to make aliyah to Palestine. 6. He became the physician for the Herzliya High School and later for Tel Aviv’s municipal schools. He was active, too, in writers’ organizations and the Committee on the Hebrew Language, serving as editor of the Hebrew terminology manual for medicine and the natural sciences. 7. Throughout all this, he continued to write poetry. He was twice awarded the Bialik Prize for literature, in 1940 and ’42. 8. His poetry was influenced by Jewish cultural heritage and by ancient Greek culture. He is especially known for his sonnets. He introduced into Hebrew the “crown of sonnets,” a grouping of 15 individual sonnets in which the last poem is made up of the first lines of the other 14. 9. Collections of his poetry have been translated into English, French, Russian, Spanish and Yiddish, and individual poems have made their way into Arabic, Czech, Dutch, English, Esperanto, Estonian, French, Greek, Hungarian, Italian, Japanese, Polish, Portuguese, Russian, Spanish and Yiddish. In addition, many of his poems have been set to music by Hebrew composers. 10. Tchernichovsky died in October 1943. 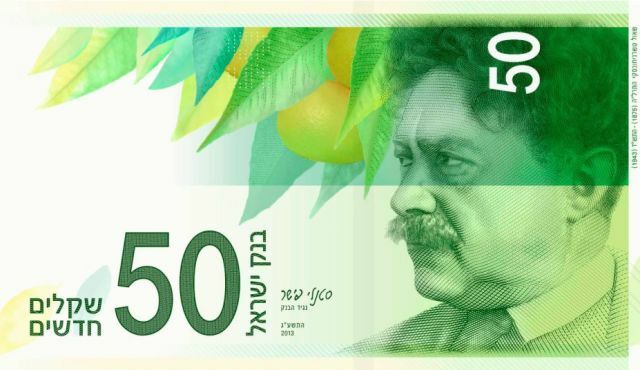 In 2011, he was chosen to be one of the four great Israeli poets whose portrait would grace Israel’s currency. Want to see the difficulty of translation? Here are two versions of a quatrain from one of Tchernichovsky’s sonnets. The first, edited by Stanley Burnshaw, is closer to direct translation from the Hebrew. The second, by A. Z. Foreman, seeks to convey more closely the spirit of the words. Which do you prefer? Eagle! Eagle over your mountains, an eagle is flying over your mountains! Soaring, gliding – gliding, and with wondrous touch did not move a wing. The slightest tremble suddenly – and it rises toward the cloud. Find Tchernichovsky Street in Tel Aviv parallel to King George Street, west of it, running between Allenby and Dizengoff. 1. He was born in Lissa in the Prussian province of Posen (now Lesano, Poland) and educated for the rabbinate, studying with two of the leading Halachik authorities of the time. As an adult, he settled in Thorn, a city on the Vistula River, where he would spend his life, serving for forty years as “acting rabbi” and choosing to receive no remuneration for his work. Yes, he was supported by his wife, who ran a small shop. 2. He wrote prolifically – commentaries on the Pentateuch, the Talmud, the Haggadah and the Shulhan Aruch; he contributed, as well, to several Hebrew periodicals, including one called HaLevaron. His Sefer Emuhah Yesharah is an inquiry in two volumes into Jewish philosophy and theology, written after he had studied medieval and then-current Jewish and Christian philosophy. 3. The first known expression of his Zionist ideas came in a letter to the head of the Berlin branch of the Rothschild family. The year was 1836. He believed that the redemption of Zion would have to begin with action on the part of the Jewish people, and that only then would come the messianic miracle. Salvation, in other words, would come to the Jews through self-help and through emigration to the Land of Israel – and through this would come salvation of the world. 4. The reform movement at the time was turning Jews’ attention to their “host countries.” Kalischer’s orthodoxy focused on Palestine. He proposed collecting money from Jews of all nations; buying and cultivating land in Eretz Israel; founding an agricultural school there or in France; and, ultimately, forming a Jewish quasi-military guard for security of the settlements. 5. He put these ideas forward in articles in HaLevaron and, in 1862, in a book called Drishat Tzion (Seeking Zion), the first Hebrew book to appear in eastern Europe on the subject of modern Jewish agricultural settlement, proposing settling the Land of Israel with homeless Jews of eastern Europe and also providing beggarly Jews in Palestine the ability to support themselves by agriculture. 6. The book was translated into German in 1865. Kalischer traveled to cities all over Germany for the purpose of setting up colonization societies and raising money for them. His efforts led to the establishment of the Mikveh Israel agricultural school in Israel (southeast of Tel Aviv) in 1870. 7. It was he who formulated the ideology of national orthodoxy – that the Jewish people were a nation and that their aspiration to re-establish their historical homeland was fully legitimate. This idea had a strong influence upon Heinrich Graetz (see my post of July 17), among others, becoming the foundation for later religious Zionist thought. 8. Throughout his adult life, he kept up a wide correspondence with rabbis, public figures and benefactors throughout Europe. Among these were Moses Montefiore, Anschel Rothschild and Albert Cohen. A collection of his letters was published in 1946. 9. He died in October 1874 and was buried in Thorn. Later, a plot was purchased for him near Rachel’s tomb with funds raised in a deposit box that he’d always kept on his desk for contributions to Jewish settlement. Tirat Tzevi, a religious kibbutz in the Bet She’an valley, is named for him. Kalischer Street is located in Tel Aviv off HaCarmel, a short walk southwest from the maket and Nahalat Binyamin. 1. 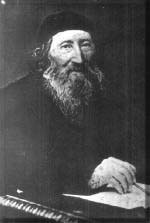 He was born Tzvi Hirsh Graetz to a butcher’s family in Poznan – then Prussia, now Poland – in October 1817. He received a traditional education in a yeshivah, though he had an interest, as well, in secular studies, which he pursued privately. Initially, he was influenced by Samson Raphael Hirsch, a champion of orthodox Judaism, and spent three years as his pupil and secretary. 2. He was awarded a doctorate by the University of Jena, though he had studied at the University of Breslau: Jews could not receive doctorates at Breslau. In 1845 he became principal of a Jewish school in Breslau and later taught history at the Jewish Theological Seminary there. 3. His History of the Jews, told from a Jewish perspective, ran to eleven volumes. Quickly and widely translated, it ignited worldwide interest in Jewish history. And in a bit of poetic justice, earned him the title of Honorary Professor at the University of Breslau. 4. The fourth volume was the first to be published, in 1853. It was followed by the third in 1856, and then, rapidly and in succession, the sixth to the eleventh, which came out in 1870, bringing the history up to the year 1848. For the first two volumes, covering the earliest period of Jewish history, he traveled to Palestine to do research in 1872, and had completed the history by 1876. 5. The work was difficult, drawing on sources scattered over nations and continents and written in many languages. Chronological sequences often had to be interrupted. But he wrote sympathetically, vividly, passionately, reconstructing the past with a remarkable grasp of the sweep of history, though he was wrong in many of the details. 6. He emphasized the contribution of the Jewish people in realizing the divine will, of Jewish spirituality as expressed in literary sources, and of the spiritual stirrings of the Jewish heart as the essential feature of their political and social life. Still, he ruffled feathers. 7. His fourth volume (remember – the first to be published) was reviewed by Rabbi S. R. Hirsch in a group of essays that grew to 203 pages and must have stung Graetz deeply. The exhaustive treatment showed the scholarship to have been sloppy, omitting parts of quotations, fabricating dates, and making conclusions based on little or faulty evidence. His eleventh volume gave rise to attacks, notably by the historian Heinrich von Treitschke, of hatred of Christianity, bias against the German people, and Jewish chauvinism. His work was quoted as proof that the Jews would never be able to assimilate themselves into European culture. 8. It’s true that his mammoth work was full of ad hominen arguments, preconceived notions, and attacks against Christianity. Scenes were imaginatively rendered, often based on flimsy evidence. Graetz might rightly be called the father of the lachrymose vision of Jewish history, for his narrative is drenched in darkness and suffering. 9. 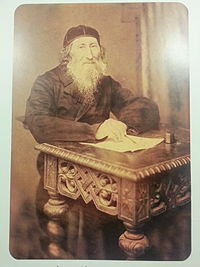 Nevertheless, he succeeded in presenting for the first time the whole of Jewish history. Indeed, the great Jewish historians of the twentieth century wrote their histories in response to Graetz’s work. 10. Though he published an anthology of Hebrew poetry and a one-volume edition of the Jerusalem Talmud, his reputation rests on the history, because it became the first standard work in the field of modern Jewish history. He died in September 1891. You can find Graetz Street in Tel Aviv running north from Ben Gurion between Ben Yehudah and Dizengoff, and in Jerusalem south of Liberty Bell Park off Emeq Refa’im. 1. The Soncino family were Italian Sephardic printers who derived their name from the town of Soncino in the duchy of Milan. 2. 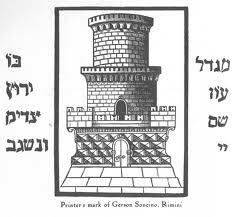 In Soncino in 1483, Nathan ben Samuel set up a Hebrew printing press. On February 2, 1484, he published his first Hebrew book – the Talmud tractate Berakhot. 3. Over the next century, through five generations, the press moved to many locations in Italy and as far abroad as Constantinople and Salonica. They published mostly Hebrew titles, but also general works and even works of religious significance with Christian symbols. 4. In all, over 100 Hebrew books were printed, including books of the Talmud, mahzors, haggadot, Maimonides, Judah ha-Levi, Rashi, responsa, prophets, proverbs, Ibn Gabirol and the Pentateuch (see below). An equal number of books appeared in Latin and Italian. Their printer’s mark was a tower. 5. They printed the first Hebrew language Bible. Though they were not the first to publish in Hebrew, they were notable for the quality of their publications. 6. Gershon Soncino was the most famous of this family. His first book was Sefer Mtizvot Gadol by Moses of Courcy, published in 1488. The Library of Congress has two copies of this book in its Jefferson Library collection. In one of the copies is a handwritten bill pasted in the flyleaf signed “Gershon, the son of Moses Soncino of blessed memory, Printer.” It’s dated 25 Tevet 5249 (December 1488) in Soncino. 7. The last of the Soncinos worked in Constantinople, and the last printed book came out in the mid-16th century. 8. But if you are of a certain age, you know the Soncino Chumash, published in 1947 and edited by Chief Rabbi Joseph H. Hertz. It was published by the modern Soncino Press, based in the UK. 9. The Soncino Press uses the tower as a trademark. 10. The Soncino Books of the Bible, published in 14 volumes between 1945 and 1952 and edited by Dr. Abraham Cohen, contains wide-ranging commentaries covering the whole Tanakh. A second edition, deleting works from historical scholars and Christian commentators, was edited by Rabbi Abraham J. Rosenberg and published in 1990. You’ll find Soncino Street in the Shekhunat Montefiore area of Tel Aviv.